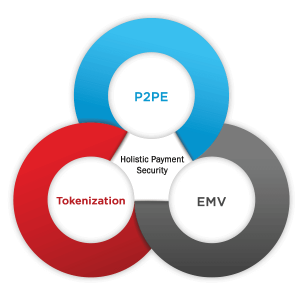 What is the role of P2PE, EMV and Tokenization in securing payments? What are the differences between PCI-validated and non-validated P2PE solutions? What is the Return on Investment (ROI) and Total Cost of Ownership (TCO) of a PCI-validated P2PE solution? The white paper can be downloaded in its entirety or via these 3 sections on our Resources page. Forensic investigations have confirmed that the preferred method for extracting account data from point-of-sale (POS) systems has been the use of RAM-scraping malware. This breed of malicious software is able to access clear-text card data as it is processed within system memory, even if the system uses encryption to receive and re-transmit this sensitive data. While card data may be received by the POS system in encrypted form, encrypted when stored, and encrypted when transmitted, it is unencrypted while in memory and therefore is highly vulnerable to this type of attack. Join us next week when we will discuss the differences between PCI-validated P2PE solutions and non-validated P2PE.